Herbal Science founder, Dr. Tan Boon Leong, has written extensively on Alternative treatments for Cancer. For a medical appointment, please contact Herbal Science. 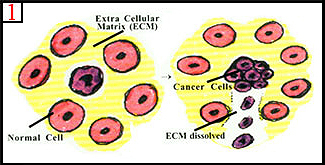 Cancer Cells spread by producing proteolytic enzymes that dissolve the Extra Cellular matrix (ECM). 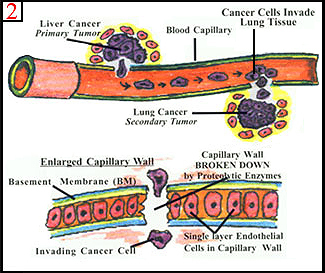 To form a secondary tumor, cancer cells break through the basement membrane of capillary walls and enter the blood stream.  Some escape to form a secondary tumor.  The process is called metastasis. Dr. M. Rath shows that the proteolytic enzymes-collagenases can be blocked by a mixture of nutrients: Vit. C, lysine, Proline, and EGCG. None of these nutrients work alone. They are only effective as a group.  They strengthen the ECM and BM.  They block the collagenases from dissolving the ECM and the BM.  The cancer cells are imprisoned and die eventually. adjunct to chemotherapy, radiotherapy and surgery. breast, ovary, uterus, colon, stomach, skin and prostrate cancer.